The University’s college transfer guidance may seem decisive, but anecdotal evidence from students suggests that the reality of the process is not so clear-cut. Unlike course change or intermission, college transfers are markedly rare. In the past ten academic years, just 37 students formally changed college, an average of less than four students per year. Last year, four students successfully changed college, three of whom left Homerton. Speaking to Varsity, several students highlighted their struggle with a lengthy, drawn-out transfer process, which sometimes intensified the stresses and discomfort that had made the college transfer necessary. The University’s official guidance states that transferring colleges “is not normally possible” and affirms that a student’s reason for transferring must be “substantial and compelling”. ● Disability, other serious medical grounds, or other special need that cannot be met by a student’s own college but can be met by another. ● The irretrievable and significant breakdown of a student’s relationship with their present college. ● A traumatic event or series of events affecting the student for which professional advice has been obtained that indicates that staying at their present college would be untenable. It is unclear, however, the extent to which any of these conditions must be satisfied in order to justify a transfer. The University does not hold records of reasons for previous college transfers, so only student testimony has confirmed the use of each of these listed circumstances in specific instances. “I loved Homerton but was never really there.” Long days in town were expensive in terms of bus transport and meals out, and did not provide private places for music practice and studying. Furthermore, Cohen struggled to establish strong friendships in college, losing contact with many people she had known prior to arriving in Cambridge. She spoke to her senior tutor, as the University’s college transfer guidance suggests, but the first meeting “wasn’t too helpful,” though further meetings were arranged. All the while, Cohen said, her mental health was declining. After speaking to a student who had successfully been granted a college transfer, Cohen realised that her scoliosis and flat feet might allow her to be classified as disabled by the transfer panel. She “immediately” sought written letters of proof from her doctor to provide to her senior tutor, but her senior tutor was still “reluctant” to take action. Cohen received a taxi account, paid for by college, for the end of Michaelmas, and, in the third week of Lent, she received an email informing her that she could transfer to Newnham. Alycia Leach was pooled to Murray Edwards, and immediately realised that her mobility disorder would cause difficulties in travelling between town and a distant college every day. 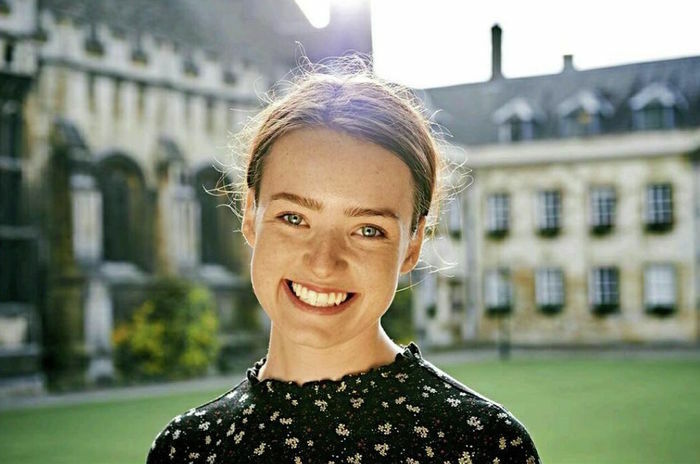 She raised her concerns after A Level Results’ Day, and began trying to initiate the transfer process in her first week at Cambridge, though it took until the beginning of Lent term for her to move into Clare. Leach sought help from the Disability Resource Centre (DRC), which sent emails to the college on her behalf. She then spoke with her senior tutor, who began the transfer process.Her college transfer was approved in late Michaelmas, and Leach moved into Clare at the beginning of Lent term. Leach was satisfied with the outcome of her college transfer, saying it was “handled well by both colleges.” She noted, however, that the entire process “could have been avoided” had her concerns been better listened to when they were initially raised in August. For both Cohen and Leach, it was location, rather than a dislike of their college, which rendered a transfer necessary. For others, it is the environment within a college which causes discomfort. After first speaking to a counsellor, she was referred to CUSU’s student advice service, advised that they might be able to offer help where the counsellor could not. The University’s official college transfer guidance states that any student seeking to switch college must speak first to their senior tutor, however this information was not known, it seems, to either the student or their counsellor. The college which saw the greatest number of students leave through a formal college transfer over the past ten years was Homerton, with six students overall. This may be due to its location: distant from the majority of lecture sites, this can cause difficulties for those with disabilities. Homerton also accepted the highest number of students through formal college transfers, again six students. St John’s and Jesus also accepted comparatively high number of students through college transfers, each accepting four in the past ten years, while Pembroke saw the second greatest number of students transfer out of the college, with four.However, the number of formal transfers over the past ten years is too low to prove any significant trend. Florence Oulds, last year’s CUSU disabled students officer, said that “the current system definitely has the potential to work well if the student’s current senior tutor is supportive of their application, and when both the student and the senior tutor agree to the transfer it’s usually quite straightforward”. Although official guidance is available to students on the University’s website, the information is clearly not accessed by many. Lack of clarity and awareness of the process creates doubt, and has resulted in delays in students being able to transfer college. Three years ago, a student’s difficulty with the college transfer process was raised in Parliament by Labour Party MP David Lammy. During an adjournment debate on the subject of disabled students, Lammy argued that Homerton College had failed to support adequately Natural Sciences undergraduate Azhir Mahmood, one of Lammy’s constituents. Mahmood suffered from anxiety, exacerbated by the isolation he experienced due to Homerton’s distance from the city centre; he was also diagnosed with Asperger’s syndrome during his intermission. Lammy argued that Mahmood’s situation was made even more difficult by the “apparent lack of a joined-up, inter-college transfer policy,” which would have enabled him to change to a more centrally-located college, and therefore be better able to deal with his issues and be closer to his friends. Responding to Lammy’s statement at the time, a spokesperson from Homerton College said that they were “deeply disappointed” by the manner in which the issue was raised, claiming that “several incorrect assertions” were made. The college also said that they have “exceptional” student welfare provision. Regarding Mahmood’s request to relocate, Homerton said that this would require the cooperation of another college, and that no such college had stepped forward. The University declined to comment on Mahmood’s case and its eventual outcome, but just over a year after Lammy raised the issue in Parliament, the University introduced its formal procedure for changing college.